There’s this set of feelings in September where you’re caught between being excited for the new ministry year and very much overwhelmed by it. Numerous times throughout the year, enormous controversies erupt across our country demanding all sorts of time, energy and attention. 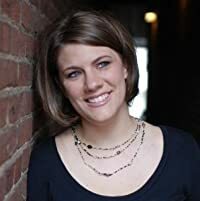 They include endless hours of media debate, arguments across social media, hurtful words, broken relationships and many times, we are reminded just how polarized we are as a society. In light of this, we are faced with a few options. One is to wait it out until media outlets find a new controversy to cover. A second option is to jump right in the foray and swing away. And while there are probably a few more options, a third is to attempt to thoughtfully engage and contribute. I’ll be honest, it’s tempting for me to sit this one out, avoid attracting any unneeded attention and frankly, I’m trying to catch my breath this summer. But since the news broke of George Zimmerman’s acquittal verdict, I have been trying to wrap my mind around what just happened. In doing so, I have been praying for peace, I’ve been praying that a healing process would begin to those who are suffering great loss, like the Martin family and the countless others who are hurting. I’ve been praying for the protection of others, from protesters to those near protesters to the Zimmermans themselves. And I’ve been wondering about justice, racism and our legal system. I’ve watched a little bit, and only a little bit of cable television but have read numerous of pages online. I try to remember to pray for our enemies during our pastoral prayers at Sunday services. It’s not part of “Look How Holy I Am” shtick, but rather a very needed reminder and call to God for help. I find it’s needed for all Christians regardless of time period or culture, and today is no exception. It’s also a very personal prayer – more on that in a moment. We settled in on the hill overlooking the park, laying on the ground on top of our hoodies. My arm around the one slowly uncovering his eyes, my other hand around the other’s mouth muting his play by play analysis, my eyes were on the colorful night sky and a good bit of my mind was thinking about Egypt. I wanted to believe that many other men were holding their sons while grateful for their future, particularly in Egypt. Earlier that day when Morsi was booted, I didn’t know what to think. Things were exciting, uncertain, disturbing, and potentially promising all at the same time. 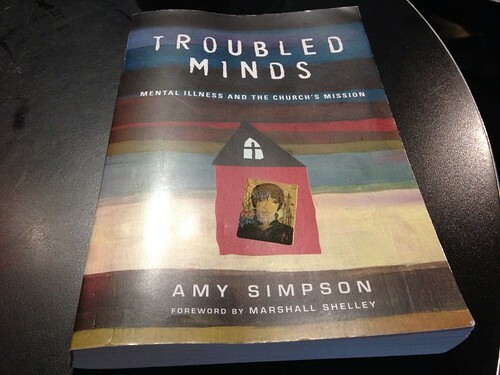 I was sent Troubled Minds: Mental Illness and the Church’s Mission written by Amy Simpson from Inter Varsity Press for review. As always I am not required to give a positive endorsement but an honest review. I am disclosing this in accordance with the Federal Trade Commission’s 16 CFR, Part 255.